The OM11 Series has been discontinued. Please see the DRA-WVT-3 Series as a possible alternative or contact our Data Acquisition Engineering Department. The OMEGA OM11 transducers accept ac voltage and current to produce a two conditioned dc process signal outputs representing wattage and Volt Amp Reactance (VAR). Single, dual, and three element models are available to accommodate a variety of wiring configurations. 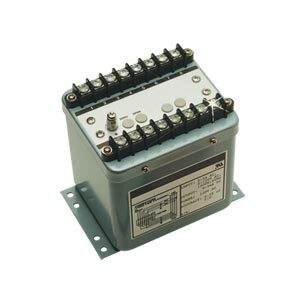 For larger input voltages and currents, the OM11 transducers may also be used with OMEGA’s voltage and current transformers.